Elements at River’s Edge offers unprecedented luxury, relaxation and privacy in Red Deer. There are only 10 premier residential suites in this innovative building designed with exclusivity in mind. These condos feature only the finest details and amenities, and offer a lifestyle like no other. Elements at River’s Edge provides impeccable views and a location second to none, on the banks of the Red Deer River next to downtown. the Red Deer River. 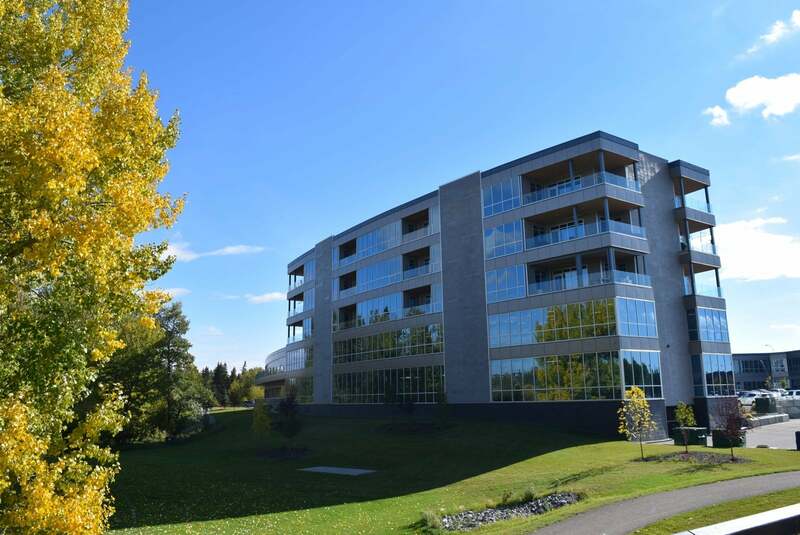 Built like no other in Red Deer, this Penthouse is both Spectacular and Spacious with an enviable floor plan, built for entertaining and filled with bright light throughout! The Condo includes four underground parking spaces and additional storage. This 2,294 sq.ft. luxury condo offers 2 Bedrooms, 2 Bathrooms and 2 Balconies with stunning views of Downtown Red Deer. Built like no other, this Condo is both Spectacular and Spacious with an enviable floor plan, designed for entertaining! The floor-to-ceiling windows and two balconies provide spectacular light throughout. The design of this condo features a unique curved hallway with sliding barn doors. This 2,285 sq.ft. luxury condo offers 2 Bedrooms, 2 Bathrooms, 2 Balconies and a Den with stunning views of Downtown Red Deer. Built like no other, this Condo is both Spectacular and Spacious with an enviable floor plan, designed for entertaining! The floor-to-ceiling windows and two balconies provide spectacular light throughout. The design of this ﻿condo is open and contemporary. Enjoy the modern amenities and conveniences of unparalleled, comfort, relaxation, privacy, and safety in a truly a remarkable location!